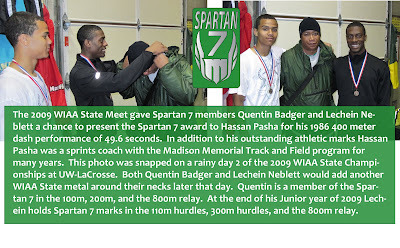 The Spartan 7 are recognized as the top event performers in Madison Memorial Track & Field history. Each event is listed below along with the top 7 times or distances through the years. Some event listings have links to a more detailed look at all-time standings for that specific event. 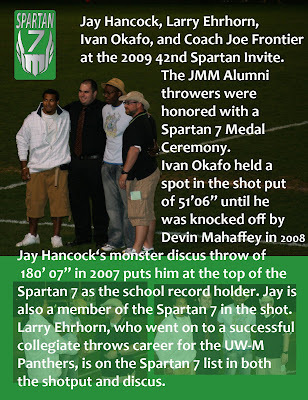 For those of you that are part of the Spartan 7 congratulations are in order. For those current Spartans that want to knock someone off the list, it's going to take plenty of dedication and training. Make it happen.